Head into the city centre to discover some bargains in Sheffield after 5pm. 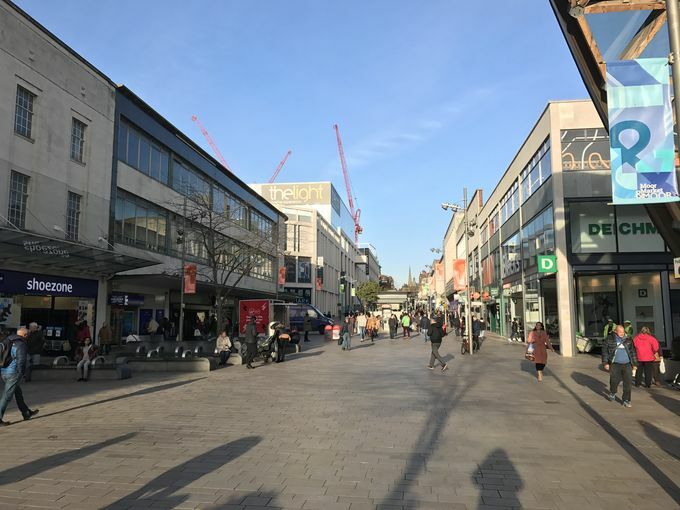 Thursday is Sheffield’s official late night shopping evening, with stores across the city centre opening later for shoppers. With the January sales in full swing there is still time to grab a bargain in Sheffield after 5pm. We’ve tracked down some of the biggest discounts in the city so you can get the most for your money this January. Sheffield’s family-run department store, Atkinsons of Sheffield, is offering up to 50% off goods across the store. From furniture to designer clothes, gifts and beauty, Atkinsons is cutting prices across most departments, so it’s worth popping in to discover what’s on offer. Atkinsons of Sheffield on The Moor is open until 5:30pm. The Perfume Shop in Orchard Square is offering between £15 and £20 off some of its scents, for both him and her. With big name brands such as Gucci and Hugo boss in the sale, why not try out a new perfume in 2018? The Perfume Shop in Orchard Square is open until 6pm. Argos’ up to half price sale features discounts on all sorts. Whether its new furniture, electronics, or homeware you’re after Argos has it all, and with some great discounts. If getting fit is on the to-do list for 2018, Argos has fitness technology, home gym equipment and all sorts of kitchen gadgets that make eating healthier easier, in the sale. Argos on Angel Street is open until 8pm on Thursdays. The Body Shop on Orchard Square is offering customers 30% off in store with the code 14673. January is the month for TLC, so whether you want something relaxing for the bath, moisturising for winter skin or just a little treat to get you through the most miserable of months, pop into The Body Shop to see what’s on offer. The Body Shop in Orchard Square is open until 5:30pm. It may be cold outside, but that’s no excuse not to leave the sofa, Sheffield is The Outdoor City, after all. With discounts on gear, clothing and accessories for all sorts of sports including climbing, cycling and hiking, now is the time to kit yourself up for the outdoors. Decathlon on Eyre Street is open until 8pm. Head to Boots in January to find huge discounts on unsold Christmas gift sets - if they haven’t already been raided by mums stocking up their present cupboards. Prices are slashed on beauty, hair and bath sets, as well as gifts and some electronics. You must be quick though, the best ones sell out in no time! Boots has three stores in Sheffield city centre open until 6pm – The Moor, High Street and West Street. New Look on Fargate is now offering up to 70% off some items. Yes you might have to commit to trawling through racks of sales items but it’ll be worth it for the gems you’ll find. Expect discounts on women’s, men’s, accessories and shoes throughout January. New Look on Fargate is open until 6pm. For more shopping news, head to Alive After 5’s shopping section.